Are you interested in writing for self-exploration? Would you like to enhance your own personal or professional development through creative writing? This 8-week course, led by Heather Blakey, guides students in creating a mindful writing practice, exploring therapeutic and reflective writing, through a variety of techniques. A minimum deposit of 25% must be paid before Thursday April 18th to secure a place in this course. Where:Castlemaine Community House, 30 Templeton Street. After a highly successful inaugural class, I am also offering Drilling Down: Writing For Wellness 2. Experienced writers seeking to ignite the creative flame, or those who engaged in my Travels with A Donkey Course may also enjoy this group. The other class I am offering is Stories by Me, a course specifically designed with children in mind. But it would be fun to have some adults and children engaging simultaneously. The Mah Meri tribe in Malaysia, is a small minority of the country’s population, where people celebrate the death festival by remembering their ancestors. It’s a day of dancing that’s steeped in tradition. The photographs are spectacular! Such a rich tradition! Malaysian villagers give thanks in an ancestor-worship ceremony. Members of the Mah Meri tribe don their intricately-carved masks and perform the historic Main Jo-oh dance for the annual Ari Muyang festival in Pulau Carey, 90 miles from the capital Kuala Lumpur. The local people use the festival as an opportunity to offer prayers and blessings to their forebears, as well as thanking ancestors for good fortune in the past and hoping for future prosperity. Each family will have built their own altar, or panga, to their ancestors not far from their house, which is loaded with flowers, incense and food the night before. The mixture is then burned, the smell of which is believed to alert the ancestral spirits to the gift. The date of the festival changes every year and is influenced by the lunar cycle. It is also thought by some the date of the ceremony is delivered to a village elder in a dream by the spirits of his ancestors. This is a lock on a door at the old Castlemaine Gaol, a building which certainly holds many secrets. Just as Adam and Eve ignored God’s command in the Garden of Eden it was inevitable that Blue Beard’s bride would disobey him and use the one key he explicitly instructed her not to use. From the outset, we knew that she was going to go through a door into a room containing a terrible truth. Apart from the secrets, we, as individuals, keep under lock and key, families have secrets which have been carefully locked away. Sometimes it is best to keep those safely stored in lock proof places. Entering lock proof places can end in tears. Just as Blue Beards bride came to grief for violating a lock proof place one of my ancestors was transported to Australia from Scotland for having had nimble fingers. 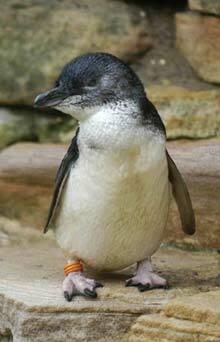 The punishment was so severe that after being freed he left Tasmania and settled in Victoria under a new name. It took over a hundred years for this truth to be revealed. Happily, most living Australian relatives were more than a little excited to have genuine convict roots. Revealing secrets does not always go so well! It can be painful to choose to unlock some of the secrets that have been carefully hidden from view. However, there are very real benefits from uncovering truths. By taking a close look at a family secret an individual may just be freed from the impact that secret has actually had on their life. Most importantly, some genuine healing may take place. Bring a family secret to the surface and give it some air. Take it out and carefully interrogate it. Be honest and consider the impact of concealing the truth, of keeping the secret under lock and key. Remember, you can always choose to lock it away again! Bon Odori is a Buddhist custom that lasts for three days, most commonly celebrated on the fifteenth of August. The Bon Odori Festival has been celebrated in Japan for over 500 years and is meant to honour and commemorate dead ancestors. The festival originates from a legend in which a man asked Buddha for help when, while meditating, he saw that his deceased mother was trapped and suffering in the realm of Hungry Ghosts. Buddha advised the man to pay homage to the monks who had just finished their summer meditation. The man did so and he saw the release of his mother. Overjoyed with the outcome he (naturally) broke into dance. Bon Odori has evolved into a family reunion holiday during which people return to ancestral family places and visit and clean their ancestors’ graves, and when the spirits of ancestors are supposed to revisit the household altars. The Bon festival is not a solemn time. It often involves fireworks, games, feasts, and dances, including the Bon Odori, which is danced to welcome spirits. Buddhist temples in cities around the world host Obon festivals: vendors offer tantalizing Japanese cuisine, temples fill with visitors and an Asian cultural influence is in full force. Originally a Buddhist-Confucian custom, the Japanese have been visiting ancestors’ graves and honoring the spirits of deceased loved ones during Obon for more than 500 years. We do not need a specific festival to pay homage to the dead. The story of the man releasing his trapped mother will inspire me to meditate upon ancestral lines and consider those who need a kind word of rememberance, who need to feel loved! There are plenty of ways to pay homage to such spirits. We can either write a letter, visit a grave, make an altar or simply light a candle in the place where ashes were scattered. I plan, amongst other things, to get a lantern to hang from the branch of the tree in my front yard where I scattered the remaining ashes of my father, mother, husband and much loved companion animals. the place of loss. Often we pray that the one who has died will rest in peace. In truth, it is those that are left behind that face the challenge of resting peacefully. Descansos is also a way to mark a loss and a space to find peace. I first learned about the concept of Descansos when I read Clarissa Pinkola Estes ‘Women Who Run With Wolves’. Estés writes that there is a time in our lives, usually in midlife when a woman has to make a decision – possibly the most the important psychic decision of her future life – about whether to be bitter or not”. Estes describes how when you travel in Old Mexico, New Mexico, southern Colorado, Arizona, or parts of the South, you will see little white crosses by the roadside. These are descansos, resting places. The concept of marking resting places is not confined to the United States or Mexico. They may be found in Greece, Italy and many other countries, including Australia. When I photographed these wayside memorials I was actually thinking about other ways to mark and lay to rest other important moments in our life. Over eleven years ago I applied the concept of Descansos to mark the loss of my husband to cancer. Now I am thinking that making visual maps and marking the moments that changed lives, be they major or relatively minor events, has a lot of potential as a part of a project to honour ancestors. Clearly, if we have lived a long time our bodies have accumulated a lot of debris but the science of epigenetics also suggests that we are also carrying ‘the sins of our’ forebears. We can make descansos by taking a look, not only within our lives but in the lives of our ancestors. We can take the time to carefully mark the small deaths and the big deaths. On a big sheet mark with crosses the places where even before infancy events impacted on your life. For example, the premature death of my maternal grandmother impacted not only on my mother but reverberated and significantly affected my life. Mark the roads not taken, the ambushes, betrayals and deaths. Mark the places which should have been mourned and consider spending time noting what has seemingly been forgotten, but which like the spirit of Joan of Arc lives on. Writing letters to ancestors is an activity many have worked with. High school English teachers give it as a writing assignment, websites have cropped up offering a place to publish them, and books are written about them. Sometimes they are written to famous people. Other times we write them to those we loved who have died or even to those with whom we have a troubled relationship. Back in the day when I was overseeing the Soul Food Cafe patrons who found their way through the cavernous tunnels into Lemuria visited the Isle of Ancestors. After completing an Ancestral Isle Meditation they posted moving accounts on a collaborative blog. This Samhain I am returning to the Isle of Ancestors, but before I go I will light some candles beside a photo of my parents and hope that I may spend some precious time with them simply remembering and letting them know what I have been doing lately. Perhaps you will make the journey too! on that glorious British Isle. because I do not want it spoiled. but was I not his daughter, too? that would have meant so much. At one time the Family Tree Magazine suggested writing thank you notes to ancestors and they include samples of some that appeared. Many of these contemplative practices provide a doorway to connecting with our ancestors. All Souls’ Day was first instituted at the monastery in Cluny in 993 CE and quickly spread throughout the Christian world. People held festivals for the dead long before Christianity. It was Saint Odilo, the abbot of Cluny in France, who in the 10th century, proposed that the day after All Saints’ Day be set aside to honour the departed, particularly those whose souls were still in purgatory. Today the souls of the faithful departed are commemorated. Although All Souls’ Day is observed informally by some Protestants, it is primarily a Roman Catholic, Anglican and Orthodox holy day. All Souls’ Day in Mexico is a national holiday called Día de los Muertos (Day of the Dead). Many people believe that the spirits of the dead return to enjoy a visit to their friends and relatives on this day. 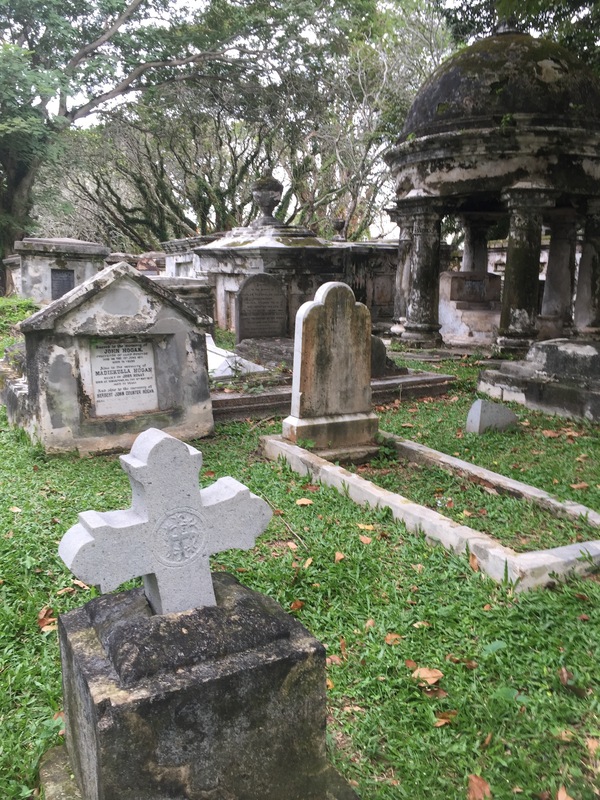 Long before sunrise, people stream into the cemeteries laden with candles, flowers and food that is often shaped and decorated to resemble the symbols of death. Children eat tiny chocolate hearse, sugar funeral wreaths, and candy skulls and coffins. But the atmosphere is festive. While there are ritual ways to honour ancestors at Samhain, Ancestral Medicine provides some timely advice. Their article offering five ways to honour your ancestors includes some great suggestions such as fulfilling one’s life purpose, staying open to direct communication with them and establishing a physical place to honour them. This November I am committing to spending twelve months learning more about contemplative practices, epigenetics and to finding ways to actively honour those who walked before me. Wiki How, which claims to explain how to do almost anything, actually has an interesting page about how to buy Souveniers and Gifts Overseas! Needless to say, I only found this page as I prepared to write this post. Happily, I only intended to buy a couple of gifts while away, but I must admit that, as I walked up along the streets towards the Old Town Square in Prague, I felt despondent! I was not impressed with the tacky tourist offerings. I was looking for posters but instead saw cheap teatowels, postcards, magnets and assorted junk that I wouldn’t even buy for our ‘who can choose the tackiest, ugliest Christmas present’ contest. As my day for departure drew closer and I had no more success in the villages we visited, I had all but given up! Then, as if by magic, (well Google actually) I found out about Bohemian Retro. Even with a map in hand, I had trouble navigating my way to this small vintage store which turned out to be only a few streets away from my Airbnb! Believe it or not, when I staggered into Palac Acropolis Retro (which includes a bar and restaurant) to ask for directions, I found the owners of Bohemian Retro having their lunch. I decided that lunch was actually a very good idea and enjoyed an authentic Czech meal served with the most amazing mashed potato of all things – all for little more than five Australian dollars. In fact I don’t even know why I’m raving about this place because it just means you might go and buy something that I’ve been eyeing .. But there are always some surprises waiting so be sure to visit and take a look! As a Buy Nothing New, vintage shop, charity shop fan, I was certainly cheered up as I rummaged through the piles of goodies. Bohemian Retro is the kind of place I take people on mystery writing tours because the goods have so many stories to tell. Ultimately it was the 1950’s Bohemian Crystal bead necklaces that were affordable and not from the heavily branded company with stores up and down the alleyways of popular tourist villages, which caught my eye – along with some delightful brooches. Completely satisfied with my selections, carefully placed into lovely old jewellery boxes at no extra expense, I treated myself to a tiny hand-stitched wall hanging to pin with a host of other things I have on pinboards, located, believe it or not, in my toilet. Ask my friends! Complete with fairy lights it is quite a gallery there now! On my final day in Prague, inspired by my success at Bohemian Retro, I intended to visit a charity store I discovered was within walking distance from my apartment. Alas, it was closed, as was the Poster studio I had found out about. But back at the market, I managed to pick up some cool second-hand books! Another time I will be better prepared and I will have researched and identified precisely where to go. During my seven days in the Czech Republic, to quote Thoreau, I chose to ‘live deliberately’, mindfully and with intention. For most of the time in Prague, I stayed clear of the primary tourist haunts. However, I took the advice dispensed by sites like Solo Traveller and booked two tours that took me out to villages in the Bohemian countryside. I stepped on to the tour buses with an open mind, prepared to relinquish my abhorrence of guided tours for two single day trips. Needless to say, I found kindred spirits on board and we shared many laughs, sat over lunch and had fascinating conversations that I will not forget. One of my companions was with a group of architects who had been given a ‘Victoria and Albert’ style ticket to Prague to enrich their understanding of architecture. Martha, like me, was taking photographs of details rather than broad sweeping vistas! Each photograph here tells a story, brings back memories of day trips I will never forget, largely because I mindfully planned and navigated them by myself. And trades as briskly fly. Once I learned about the Sedlec Ossuary I knew that I would be making a visit to Kutna Hora during my time in the Czech Republic. It was by sheer chance that I stumbled upon Prague Bus Tours as I scurried away, fled from the milling masses in the Old Town Square in the centre of Prague. There was little to hold me there! Overpriced cafes, endless shops selling piles of tacky souvenirs, horse and cart rides and the usual get on, get off bus tours. There may well have been better deals available but this company, true to their word, picked me up at my Airbnb and even went out of their way to drop me at another address on the return journey. The only downside was that our charming guide never had volume button so we could not lower the sound as we drove through the Bohemian countryside. When two American women and I tumbled off the bus all I could mutter was that “I only came to see the bones!”. As we distanced ourselves from the very loud commentary I teased others and asked why they were not taking notes. Much to fellow travellers amusement, I remarked that there would be a test at the end and if we failed we would have to do it all again, with him, tomorrow. That aside, nothing prepares you for the awe-inspiring Sedlec Ossuary. For once I was speechless! It is magnificent and I was taken by what I perceived to be ‘reverence’ for those fallen whose bones lie here. I discovered that a Prague market really is authentic, genuine and very popular among the locals. Prague markets are on throughout the year, most typically on Saturday mornings, but I first visited the Jirak market on a Wednesday. This market presented what is in season and what you should expect – and demand – on the menu in the best restaurants in Prague. The Jirak market is at the Jiriho z Podebrad square in what is if the number of designer stores is any indication, the affluent and swanky Vinohrady district. Going to Jirak not only introduces you to a local market but it also enables you to see a residential area of Prague outside of the centre. It is smaller than the popular Naplavka Market but the atmosphere is less busy and easier going. While you can enjoy some traditional Czech food without the madness of the more central Prague markets I opted for some hot Pizza and a juice. Another bonus of this market is that there are a lot of benches around the market so you can just enjoy the moment, listening to local musicians, watching the local crowd, in the shade of the TV Tower and the Church of the Most Sacred Heart of our Lord which dominates the square. Personally, a highlight was finding the Boho Cafe, store and eclectic purveyor of vintage goods just around the corner. I sat and enjoyed coffee from fine china and water served in Bohemian crystal glass that one might expect to be presented with at high tea in a very swanky hotel. My first experience travelling solo as a single, older woman was a resounding success. Prague and the Czech Republic proved to be the ideal place to put one’s learner plates on. My Airbnb host picked me up at the main railway station, showed me my gorgeous, tiny apartment in Zizkov (Prague 3) and provided the most important directions – to the nearest trustworthy bank ATM, the best local coffee shops, some maps and the location of transport into town. Having no desire to spend my time with the milling hoards of tourists who pour into Prague all year round I only briefly explored the main city and tourist hotspots. I spent the majority of my time wandering around my immediate neighbourhood taking photos of fragments like these. I met a friend’s son and partner for drinks and dinner and glimpsed their lifestyle! I found my way out to two stunning Bohemian towns and stumbled upon all sorts of interesting things that not everyone would notice. These drainhole covers bought back memories of time spent in the Soul Food Cafe and represent the beginning of a collection. Imagine my surprise when I passed through the door to see a little girl waiting. At first, I noticed her beautiful friendly smile. Her hair hung loosely around her shoulders, and her dress, which was a beautiful red colour, hung in tatters around her knees. As I walked towards my room she skipped along beside me, chattering all the while. Her spark and enthusiasm rubbed off onto me and I suddenly knew that I was going to enjoy this time away in the Grotto. I walked into my room and felt a cosy warm feeling. Through the french windows, I could see the beautiful gardens, overlooking the lake. The sun was gently sinking to the west and I knew that I was going to sleep well this night. Responding to the call to join the Enchantress! It is possible for the DNA of an organism to occasionally change, or mutate. A mutation changes the DNA of an organism in a way that affects its offspring, either immediately or several generations down the line. The change brought about by a mutation is either beneficial, harmful or neutral. If the change is harmful, then it is unlikely that the offspring will survive to reproduce, so the mutation dies out and goes nowhere. If the change is beneficial, then it is likely that the offspring will do better than other offspring and so will reproduce more. Through reproduction, the beneficial mutation spreads. The process of culling bad mutations and spreading good mutations is called natural selection. As mutations occur and spread over long periods of time, they cause new species to form. Over the course of many millions of years, the processes of mutation and natural selection have created every species of life that we see in the world today, from the simplest bacteria to humans and everything in between. Billions of years ago, according to the theory of evolution, chemicals randomly organized themselves into a self-replicating molecule. This spark of life was the seed of every living thing we see today (as well as those we no longer see, like dinosaurs). That simplest life form, through the processes of mutation and natural selection, has been shaped into every living species on the planet. Can such a simple theory explain all of life as we know it, explain the creative process? The Soul Food Cafe is just one example of the truth of this simple theory. Explaining the evolution of Soul Food is a bit like explaining how one species could transform and become another. Soul Food came into being when computers around the world began to talk to one another. It began as a simple writing directory run by one person and evolved, transformed into the complex site, still run by one person with the support of volunteers. The Soul Food Cafe spread over thousands of pages and was added to by hundreds of people. In the early days, when the site was primarily a directory, students were encouraged to use Bravenet Forum as a place to publish responses to stimuli directly online. They delighted in seeing their work go into a public arena and enjoyed being able to show family and friends just how computer savvy they were. As Soul Food began to house and preserve the work of students it began to morph into another shape. Prior to the advent of intuitive programs that removed the need to write HTML it, quite literally, took many hours to code pages and publish student work. Once we began using Bravenet Forums it was possible to copy work from this container and paste it into Student Folio pages within what was named the Student Lounge. Copying and pasting work onto templates dramatically reduced the workload and revealed new possibilities. As the word about the nature and style of Soul Food spread via Yahoo Groups and email, artists were drawn to the site from all over the world and the site began to mutate and take on a life of its own. It became a place to inhabit rather than just a place to visit and then leave. The first shifts were subtle but with communication channels open and operating the whole thing began to take a new shape. This Cave of the Enchantress was one of the first of Soul Food’s collaborative blogs. 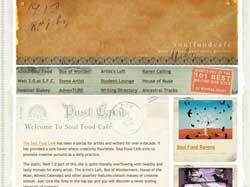 By 2010 The Soul Food Cafe had almost two hundred collaborative blogs, catering to different genres and concepts. Emu is a powerful teacher and guide. It promotes spiritual excellence and achievement by encouraging diligence, hard work, respect and humility in the lives of those it visits. Emu demands the great application of time, energy and love to all spiritual pursuits and can guide those who seek knowledge down paths of wisdom. Emu is an excellent guide for those interested in shamanic pursuits and techniques. It is one of a few animal guides that is very powerful for shamanists, or those who simply strive for brilliance in all that they do. Emu guide can be quite stern and is a custodian of societal law. When emu appears in your life, it is time to apply some mettle and hard work to your situation. Emu doesn’t permit laziness, and emu energy is not very relaxing or soothing. The energy of emu tends to come about at a time when rapid movement can be nourishing. Many animals teach us to slow down and take our time, but emu comes into our lives to say ‘speed up, work hard.’ Rapid movement can also be applied physically, through exercises like jogging and physically demanding cardiovascular movement. It can be applied spiritually, by drastically increasing how often your journey, make offerings or rituals, pray etc. Look at what you are doing to serve yourself, your spirituality, or others, and multiply it. On a personal level, I sense, as I work with children at Winters Flat Primary School, that it is time to apply some mettle and grow a fresh very wild garden.